Click on the image of the flyer we'll be using to promote the event throughout the community in the 2 weeks leading up to the event. Is the economy hurting your business? AZ Gold Marketing would like to help boost your business so you can keep your doors open. We've developed a fantastic advertising co-op so that you can save money on advertising and keep repeat traffic and more profits. 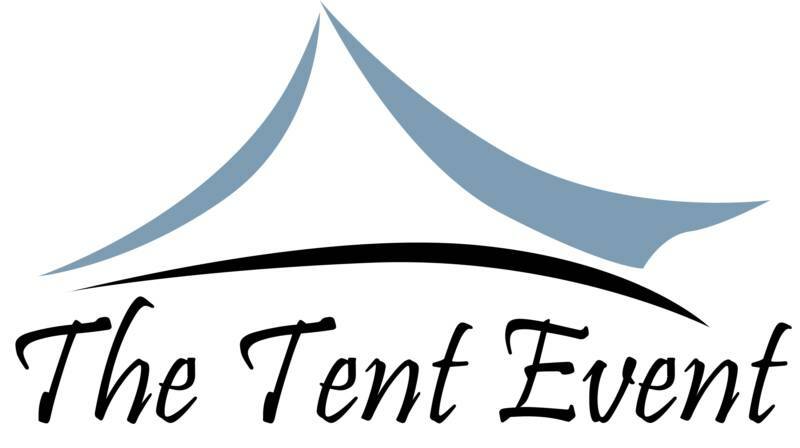 We'd like to partner with you and promote your business through a tent event promoting our consumer discount card program, the AZ Gold Savings Card. 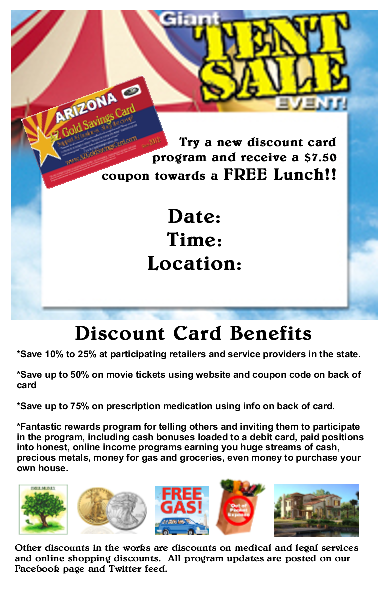 If you are willing to participate in our coop by offering an affordable repeat discount to AZ Gold Savings Card users, we'll hold a tent event to give these cards away through a special promotion and cover the cost, up to $10.00, of your products or services. Doing this will bring new business and guarantee repeat business through the AZ Gold Savings Card program. There is a one-time fee or $250 for the planning and promotion of the event, as marketing materials will have to be furnished.